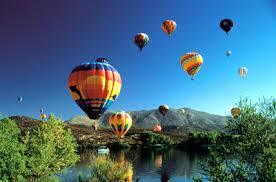 The Temecula Valley Balloon & Wine Festival will take place this weekend, May 29th through May 31st at Lake Skinner. Get together with your friends and neighborhoods at Audie Murphy Ranch and spend the day enjoying the festival. Activities for the entire family to enjoy include entertainment, the Kids Faire, arts and crafts, commercial exhibits and a variety of food vendors. There will also be wine tasting in the Wine Garden. Make the event more memorable with a hot air balloon ride over the lake. Purchase tickets at The Temecula Valley Balloon & Wine Festival. Come home to a bigger, better life at Audie Murphy Ranch in Menifee. With five beautiful new home neighborhoods offering an array of stunning one and two-story designs, there’s something for everyone. Buyers will enjoy endless opportunities for fun and adventure with miles of trails to explore just moments from home and plentiful parks and places to play including an 11-acre sports park and a new recreation center along with two additional parks coming soon. Take a look inside the lifestyle that awaits at Audie Murphy Ranch! 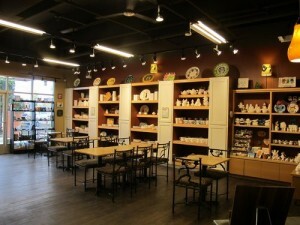 Explore your creative side at Painted Earth Pottery & Art Studio in Menifee. Located just minutes away from the new home community at Audie Murphy Ranch in the Countryside Marketplace, it’s the perfect place to spend the afternoon with family and friends. Choose from an assortment of pottery from plates and mugs to vases and clay impressions and create your own masterpiece. The studio also offers classes and is a great place for your children’s next birthday. View more details at Painted Earth.